Account Due Diligence<sup>™</SUP> | Jack B. Keenan Inc. In these times of diminished demand and increasing competition, how do your customers and prospects view your sales people? As credible, business consultants, comfortable and confident in initial conversations that are directly relevant to the critical priorities, plans, and projects? Who differentiate themselves early by the insights that their discovery questions demonstrate? Or as the more common, transactional, product representative focused on their own products and solutions and eager to present them at the first opportunity? How often do your sales people show up at a customer better prepared and more informed about a customer’s business than the competition? Throughout the business world, sales executives and account managers have heard the call to be more of a strategist, to call higher, to sell the value of the business impact of the offering. The ability to engage in these higher level conversations with more senior people about high order value propositions is not simply an issue of motivation, but also one of comfort, confidence, and conversational relevance. And yet, how does sales person go about developing actionable insight into a customer’s business? And do so efficiently? Account Due Diligence™ (ADD) is a learning experience built for sales people and account executives who need to show up smarter than their competition in their most important accounts. In this working session, participants are introduced to a simple, six-step due diligence process that can be implemented in thirty-minute segments over the source of a typical working week. An example of the results of an efficient Due Diligence effort is presented to the participants to demonstrate the conversational relevance that can be developed in that short amount of time. Participants then complete their own Due Diligence on an important account of their own, and develop a contact and penetration plan – complete with contact-specific discovery questions – for that account. Participants receive feedback on their information, insights, and their discovery questions. Today, with the amount of information readily and publicly available through online, your people are competitively vulnerable to other sales people who get up a little earlier, are more motivated, and put in the small incremental work necessary to show up as credible, comfortable, and conversationally relevant to the customer’s issues The days of “grip-and-grin” meetings are behind us. Make sure that your team shows up smarter than the “typical” sales person. 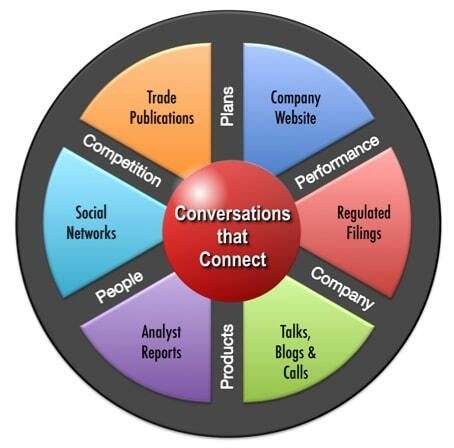 More effectively engage with key individuals and critical issues within their targeted customer accounts. More efficiently acquire insight into their customers’ business plans, priorities, preferences, and projects. Understand how to organize themselves to more efficiently gather account insight on an ongoing basis. Know what to focus on amidst the enormous amount of public data available today. Know how to leverage the new set of Web 2.0 and social networking tools to make their Due Diligence activity more efficient and less effortful. Be more comfortable approaching more senior people as they are more informed and better prepared to engage in a credible conversation about the customer’s business. Leave the session with a tactical plan for engaging an account with the relevant issues and with 3-5 key individuals within their target account. of our Account Due Diligence program fact sheet or contact us directly. Our business purpose is to help our clients and customers create demand – to grow their business faster and beyond the level to which they would grow organically.Following the recent economic disruption, enterprises of all types and sizes have fundamentally changed their buying processes, and changed their patterns of decision-making. Companies have redefined the business, technical, personal, and political value they want from their investment of scarce budget dollars. They have changed their expectations of partners, suppliers, vendors, and, yes, of sales people and service providers.